I thought I'd make this week's list thirteen things about my homeland, Wales. 1…. Wales is NOT in England!!! A surprising number of non-Britons think it is, possibly because a lot of them think that 'England' and 'UK' are interchangeable. They're not. Both Wales and England are constituent countries of the UK. 2.... It is now believed that Welshmen may have reached America before Columbus. 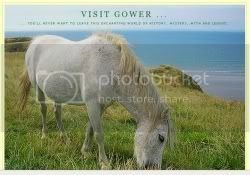 Madog ab Owain Gwynedd is believed to have arrived in America with a group of followers, during the twelfth century. It is believed their descendants can be found amongst the Mandan Indian tribe. 3.... Wales's national emblem is the leek, and the daffodil is its national flower. 5.... Welsh immigrants began the Mormon Tabernacle Choir in Utah, giving their first public recital on Sunday, August 22, 1847. 6.... 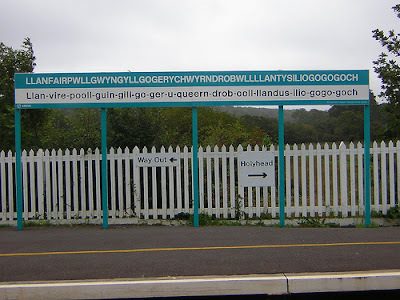 The railway station with the longest name in the whole world, is in Wales. It can be found on the island of Anglesey in North Wales. It's called Llanfairpwllgwyngyllgogerychwyrndrobwyll-llantisiliogogogoch, which translates as "the Church of Mary in a white hollow by a hazel tree near a rapid whirlpool by the church of St. Tisilio by a red cave". Most people refer to it as Llanfairpwllgwyngyll, or Llanfair P.G - which is a relief to anyone who has to send regular mail to the place. 7.... Wales is home to the world's largest second-hand book store. It is owned by Richard Booth, in the sleepy little town of Hay-On-Wye, on the Wales-England border. 8.... The New York Times was established by George Jones, who was of Welsh origin. The first edition was printed on September 18, 1851. 9.... Despite being little more than 8,000 sq. miles in size (barely bigger than the state of New Jersey), Wales raises more sheep than any European country. It has 11,000,000 sheep, compared to a human population of just under 3,000,000. 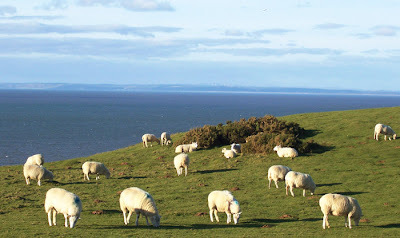 Wales is home to an estimated 15 percent of the sheep in the European Community. Some genuine Welsh sheep. Baaaa! 10.... The Mumbles Railway, in my home town of Swansea (Wales' second city), was the first railway in the world to accept paying passengers. Sadly, despite also being the world's longest serving railway line, the Mumbles Railway ceased to operate on Jan 5, 1960. A footpath now lies along the seafront, where the railway used to be. 11.... Cardiff, Wales's capital, is home to the world's largest retractable-roof arena. The Millennium Stadium hosts major rugby and football matches, as well as rock concerts and other entertainment. 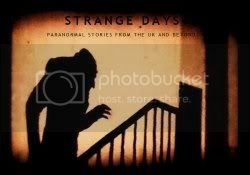 12.... A Welshman named David Edward Hughes was the first person in the world to transmit and receive radio waves. He did so a good eight years before Heinrich Hertz, who was to lend his name to radio waves. Yet popular history insists that Guglielmo Marconi was the inventor of radio. 13.... "Murray the Hump", Al Capone's chief lieutenant, was born in Chicago, to Welsh parents, who originated from Llanidloes, in mid-Wales. He was one of the US's most successful and notorious criminals. Not exactly one to boast about, I know, but there you go. I love Wales and hope to return soon for another visit. We tried climbing Snowden, made it halfway. We stayed in Conwy. I would love to go to that bookstore and explore much more of your homeland! I thought Hay-on-Wye was just on the English side of the border. I see that Dr Who and Torchwood are both filmed in Cardiff. Being that I have Welsh in me, thanks to my mom's grandfather, this list was particularly interesting to me. Thanks for sharing! My 13 is up..please feel free to stop by and visit. Have a great weekend! I found your post really interesting. A friend of mine took a motorbike ride down to Hay-on-Wye a couple of weeks ago to visit a book shop. I bet it's the one you mentioned. I nearly went with him but ended up having other commitments. And Jack Daniels is a Welsh whiskey - apparently. I didn't know about the radio transmission, thanks for that. I have been complaining that there are more sheep in Ireland as a counter to a certain expression... now I must eat wool. I would love to visit the bookstore. Sonds wonderful! Thanks for the kind comments, everyone :).